An Arianespace Soyuz ST-B has successfully launched another pair of Galileo satellites from the European Spaceport in Kourou, French Guiana on Friday. 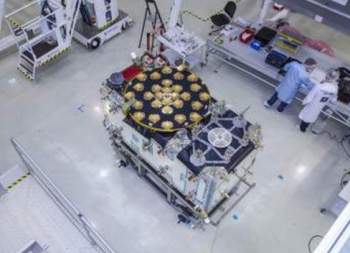 The lofting of the FM03 and FM04 satellites took place on schedule at 21:46 UTC, as Europe’s Global Navigation Satellite System (GNSS) constellation continues construction in orbit. Following the launch of four satellites Galileo In-Orbit Validation (IOV) satellites, forming the operational nucleus of the full 30-satellite constellation – FM01 and FM02 were then launched as the first two “Full Operational Capability (FOC) birds to head into orbit. Their launch didn’t go to plan as they ended up in an elongated orbit travelling up to 25,900 km above Earth and back down to 13,713 km. Their orbits have since been modified by making them more circular and raising their perigee by more than 3500 km, allowing their navigation payloads to be switched on throughout their orbits. The launch campaign began with the launch of the first two experimental satellites, Giove-A and Giove-B, orbited by Arianespace’s Starsem affiliate on Soyuz launchers from Baikonur Cosmodrome in 2005 and 2008. The remaining Galileo constellation satellites will be orbited using Soyuz vehicles carrying two spacecraft each, along with three Ariane 5 ES rockets configured with four per launch. Designated Soyuz Flight VS11 in Arianespace’s numbering system, this mission was Arianespace’s second mission performed in 2015, following a lightweight Vega launch in February with the IXV spaceplane. 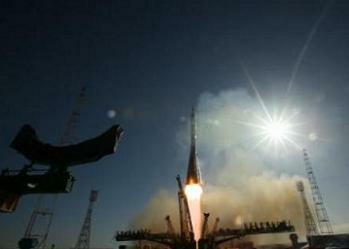 It was also be the 11th Soyuz liftoff performed from French Guiana. The mission profile calls for the two satellites to be deployed after a flight lasting approximately three hours and 47 minutes. This proved to be a successful mission to separation. 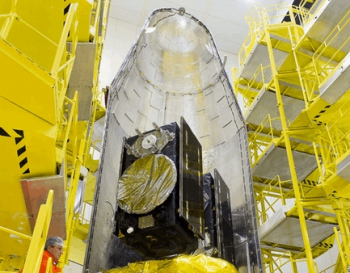 The payload dispenser for Galileo was developed by RUAG Space Sweden for Arianespace, and carries one satellite on each side. It deployed the spacecraft during their Soyuz launch by firing a pyrotechnic separation system to release them in opposite directions at the orbital insertion point. The Soyuz-2 was developed from the older Soyuz models, and features digital flight control systems and modernised engines. It first flew in 2004. 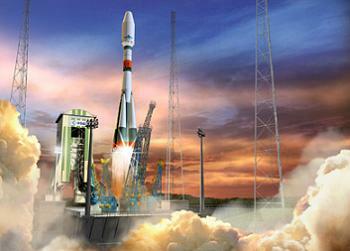 The Soyuz-2 forms the basis for the Soyuz-ST rocket, which is optimised to fly from Kourou, and also incorporates a flight termination system and a modified telemetry system.